How menus change, how ingredients cycle in and out of the restaurant, how the chef thinks about food and what they want to serve, this is all a reflection of the seasons. It may be New York City in winter, but the image of the hills of the Langhe under vine and snow comes to mind, and I am off to the Piedmont in my mind. This iconic region of Northern Italy is famous for their Nebbiolo, and a host of other indigenous grapes that thrive in this unique climate and landscape. This week, we have a spectacular line-up of wines, including Barolo from Schiavenza and Brovia, as well as Giovanni Canoncia’s ‘Paiagallo’ 2012 from magnum. Canonica is a bit of a quiet legend in the Piedmont, and his wines are remarkable. We will also pour three stellar vintages of Paitin’s Barbaresco ‘Sori Paitin’, including the lauded 2004 & 2001, as well their 2006. Showing the true character of Serralunga d’Alba, the wines of Schiavenza wines are truly special. The estate, run by Enrica and Maura Alessandria, and their husbands Luciano Pira and Walter Anselma, traces its roots back to 1956, when it was purchased by Uga and Vittorio Alessandria. The winery and surrounding land, which used to be part of the Opera Pia Barolo, was farmed by sharecroppers, locally called ‘Schiavenza’. The estate holds about 9 hectares in Serralunga, and also a bit of land in the town of Perno in Monforte, where they grow an excellent Barbera. Schiavenza’s wines toe the line between lifted and rustic in a way that feels very honest, showing the breed of their vineyard holdings, and the age-worthy character of Serralunga. Fermented in large cement tanks, then aged in large format Slavonian botte, without the use of any herbicides or pesticides in the vineyards, this is traditional Barolo. This week we will pour their beautiful 2014 ‘Cerretta’ and ‘Prapò’. And should you find yourself in Serralunga, the family also runs a great local restaurant just beyond the winery called ‘Cantina Schiavenza’. Later in the week, we will have Paitin’s Barbaresco ‘Sori Paitin’ in magnum this week, from 2006, 2004 and 2001, as well as Brovia’s ‘Rocche-Villero’ 2005, a wine that can no longer be labeled as such, a relic of not so long ago when two vineyards could be listed on a bottle of Barolo. This wine was bottled in magnum to celebrate the 150th anniversary of the estate, and it is a stunner, showing notes of eucalyptus, orange peel, lavender and spice. 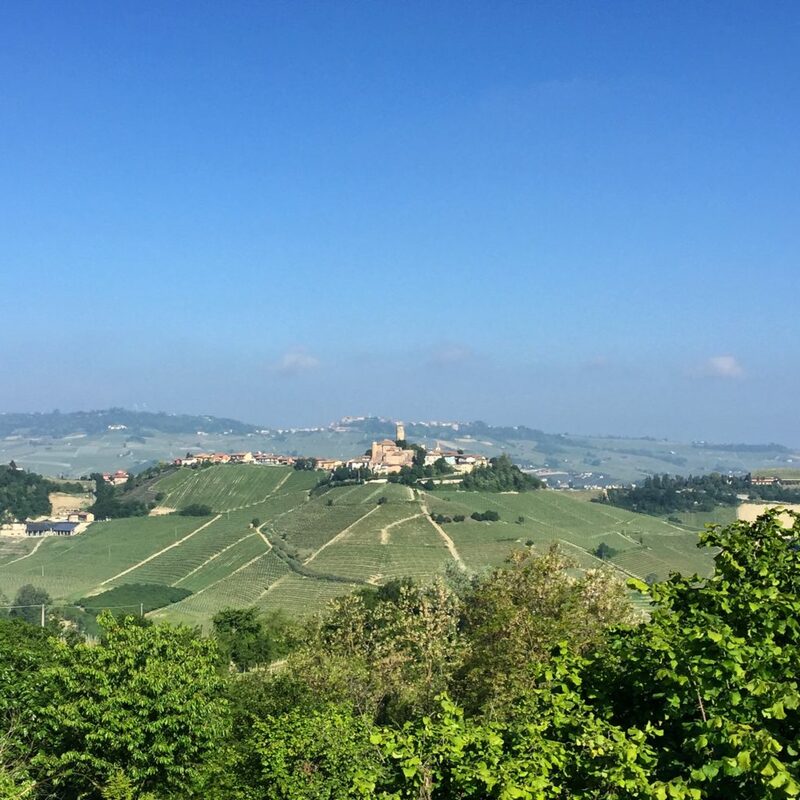 Sunday evening, we will pour Giovanni Canonica’s Barolo ‘Paiagallo’ 2012, a beautiful vineyard on the hill overlooking the village of Barolo. Please join us this week at Bar Boulud, we have wine to keep you warm!